Why offer a Loyalty Program? Customers who are members of loyalty programs generate between 12 and 18% more revenue than non-members. 54% of consumers would consider increasing their amount of business with a company for a loyalty reward, and 46% said they already have. Those stats are hard to ignore. Maybe you’re thinking your next step is to start researching, maybe doing a few searches for “Shopify loyalty programs,” “how to reward customers,” or even “what IS a loyalty program.” Well, there’s no need. We’ve cut through all the clutter and put together a straight up, no nonsense guide to starting a successful loyalty program on your Shopify store. Creating a VIP experience by revolving your program around tiered memberships, giving customers the option to earn or redeem points at different ratios. Ex. Gold members earn 20 points for every dollar spent, while Silver members earn 10 points to the dollar. Accumulating points through sales. This is the most common loyalty program out there, and with good reason! Customers earn points on every purchase they make in your store, which can then be redeemed for free merchandise, rewards, coupons… really anything you can think of. No matter which you choose, your program needs to be easy to understand. Most online shoppers have the attention span of a toddler, which means the relationship between how points are earned and what rewards they'll receive needs to be easily understood at a quick glance, or they’ll immediately move on to the next thing. The benefit to your customers can get lost in long pages of text, so focus on using visuals to highlight your program. Not only does it need to be easy to understand, it has to offer your customers something they actually want. The key is to find out exactly what will motivate your customers to buy more to reach that next threshold. And a great place to start is to look at what your customers are already buying from you. Take a look at your best selling products or upsells to determine what your customers are interested in. By offering rewards that act like gift cards, not only should your AOV go up as customers strive to hit the next earning level, but you’ll also increase brand loyalty by driving sales back to your store. A small detail that people often forget is to outline how customers will receive their rewards. Make sure to clearly state if shipping is free for these items, or if it’s a gift certificate, if it will be emailed to them, if they’ll have to download it, or if it will automatically be taken off their next purchase. make sure the details of your program are easy to find! When a customer lands on your store, they should be able to tell right away that you offer a loyalty program and know the details of the program at a glance. We think Walgreens does a great job of this! As soon as you land on their homepage there are at least 3 visual references to their rewards program, including how many points you earn for every dollar spent. So now you’ve chosen what you’re going to offer, what your points system will look like, and it’s time to put the final steps in place for launch. (If you’re still looking for ideas, search your favourite brands and see what they’re offering to get the ideas flowing). So you're ready to launch, right? Not quite. In our next post, we took a peek into the world of marketing your loyalty program, including what communication channels to focus on, what to center your content around, different sale ideas for a successful launch, and how to measure your success. 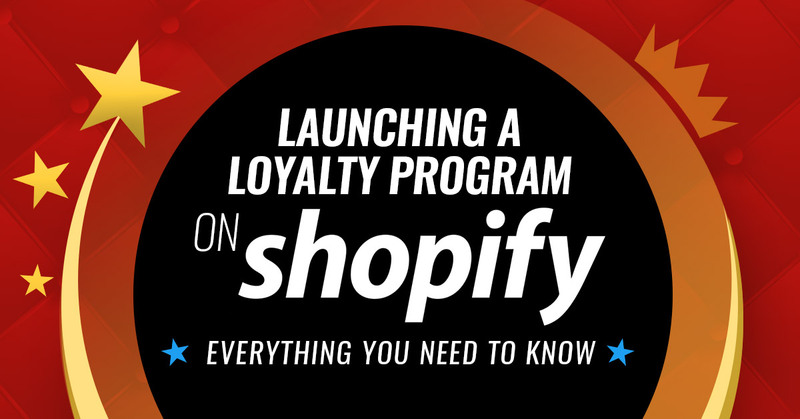 Lastly, we’ll explore how Bold's Loyalty Points app for Shopify can benefit your store. Once installed, it will take care of everything we’ve talked about, and we'll even set it up for you. Still wondering if a loyalty program is right for your store? Book a one-on-one with our Loyalty Rewards Specialist by clicking here. Scroll down to our Loyalty Points app to select a date and time that’s convenient for you.